← HUMOR: COMIC STRIP #2. By Popular Demand. High US-India Diplomacy this Summer: What does it Mean? Mahanth Joishy is Editor of usindiamonitor.com. 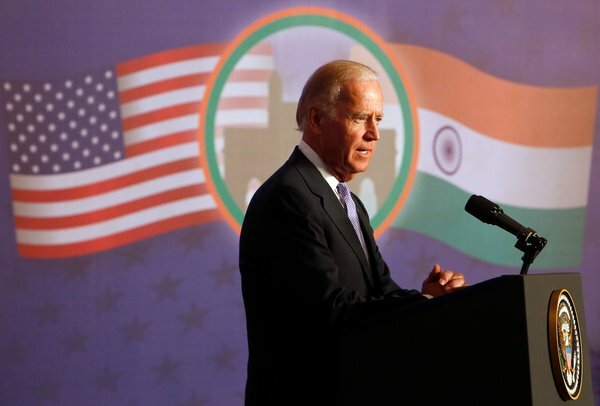 US Vice President Joe Biden’s trip to India in late July 2013 was only the latest in a flurry of high-level contacts that have taken place between American and Indian leaders this summer. The Vice President arrived on the heels of the 2013 US-India Strategic Dialogue in New Delhi on June 24th between US Secretary of State John Kerry and his counterpart, Foreign Minister Salman Kurshid. They were joined by a gaggle of diplomats, military officers, political operatives, economists, and officials in areas such as science and development from both sides. Throughout the year, Cabinet level Secretaries from the United States and Ministers from India have traveled back and forth to summits on areas such as commerce, security, and the future of troubled Afghanistan. Meanwhile, Prime Minister Manmohan Singh is preparing for a state visit to the United States this September, where he will meet with President Obama separately from his attendance at the UN General Assembly in New York. What does all of this mean? What are the results of all these high-level meetings in the era of Obama and Singh? Perhaps the greatest achievement in US-India affairs in the last few years has been stellar growth in bilateral trade, expected to reach $100 billion for the first time in recorded history this year. As Biden said at the Mumbai stock exchange, nobody can see any good reason why it could not grow five fold in the next few years to come. How much of this is thanks to the government-to-government contacts is debatable. While the governments have made steps toward maintaining an environment of free trade, bureaucratic policies have created a great deal of hindrance and continue to do so- such as tight American caps on work visas for Indians, and India’s dithering on the entry of foreign retailers including Wal-Mart. The private sector rightly deserves a lion’s share of the credit for the positive trends in bilateral trade. However, the governments of both nations, in partnership with educational institutions and councils are laying the foundation of a major and exciting policy development: cooperation on vocational/technical and community-college education. This will be a win-win situation for education, the economies, and development. This area has the potential even to be the seminal achievement of the Obama-Singh era if progress continues. We are following this trend and will be reporting on it separately. Meanwhile, the challenges in the relationship loom large. Indian commentators have asked for stronger action in support of Edward Snowden and a more aggressive stance toward the US NSA’s information gathering practices, which are known to include India’s data flows. Americans meanwhile have hoped to have a more reliable partner when it comes to presenting a united front to Iran and Syria. India continues to view American ties to Pakistan both economic and military with a large dose of suspicion. Meanwhile, the failure of both governments to coordinate more proactively on climate change issues is glaring and there is plenty of blame to go around on both sides of the coin. Nuclear cooperation between the two countries on the civilian power side continues to experience fits. The US military and India’s armed forces are planning and conducting joint exercises, but they are so small in scope that they cannot be called the coordination of a true military alliance. In a broader sense, the potential for US-India partnership remains largely untapped, though the need the two nations have for one another in the current global environment remains stable. There is a feeling that goals must be achieved soon considering India’s upcoming election next year, when the government could experience an overhaul in policies and priorities including those interfacing with the United States. While the main opposition party, the BJP would continue supporting a warm relationship with the United States, areas such as nuclear technology exchange would likely be in jeopardy, and the BJP’s leader Narendra Modi has not lately been a friend of the United States regardless of where the blame lies for this. Obama and Biden have maintained their support for bringing India in as a permanent member the UN’s National Security Council, that most exclusive body of great powers, but it does not appear that the United States government is pursuing this goal with the focus that is required. While the prospect has been given a lot of ink in the press, a timetable has not materialized, and the path is still murky. The bottom line is that cooperation continues. There are no deal-breaking crises between the two countries at this time, as there have been in the past. But mistrust and impatience also persist. The United States and India are still casual acquaintances, not close allies. The flowery words of leaders are not matched by proportionate action yet. It’s unclear at this time whether unforeseen circumstances will cause this to change in either direction in the near future. We’ll continue to watch the high-level meetings and summits with interest, but more concrete steps are lacking. Posted on August 14, 2013, in Commerce, Politics/Diplomacy and tagged Joe Biden, US-India Strategic Dialogue. Bookmark the permalink. 2 Comments.